Home » World » USA & Canada » Casey Anthony’s Clothes, Handbags Goes for Sale on Website! 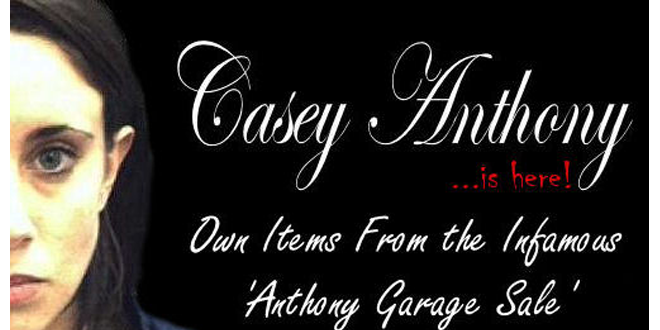 Casey Anthony’s Clothes, Handbags Goes for Sale on Website! Casey Anthony, the Florida women who made headlines for being charged and acquitted in the killing of her daughter has become a celebrity? Well, that is exactly what one website thinks, they are selling stuffs that once belonged and were used by Casey Anthony. Eric Holler, owner of SerialKillersInk.net, told WESH-TV in Orlando, Fla., the clothes and purses were originally purchased at a garage sale run by Anthony’s parents. He said the buyer, Christina Werner of Mount Dora, Fla., wanted to “wash her hands of the situation” and sold them to him. Holler, who is offering the items at $800 each, would not tell WESH how much he paid for them. “Casey Anthony is here! Own items from the infamous Anthony garage sale,” Holler’s website said. Casey Anthony on the other hand has stayed low after she was released from jail in 2011. Though she was acquitted she was found guilty of giving false information to the police about the the disappearance of her daughter. Finally after several interrogations and lot of different stories from Casey, she finally said that her daughter accidentally drowned in her parent’s swimming pool and her father convinced her to cover up the death. Universe Governed by Computer Like Program?